BBC NEWS | Programmes | Panorama | A good time to say goodbye? Should society allow people to receive medical assistance to die if they are suffering unbearably with terminal illnesses? Or is physician-assisted suicide a step on a road to euthanasia? Four years ago, Diane Pretty fought for the right to die on her terms. 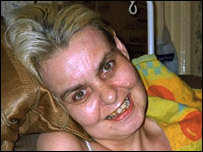 Suffering from motor neurone disease, she felt that she was effectively dead. What right does the state have to deny control over your own death? Isn't life more than a disposable good to throw away when fed up? Diane Pretty wanted to change the law on assisted suicide for terminally ill people so that her husband Brian could help her to die. But the British courts ruled that she did not have the right to determine when and how she died. When she took her case to the European Court of Human Rights in Strasbourg it upheld the British law claiming it protected the weak and the vulnerable. Since the Diane Pretty case, 43 Britons have travelled to Switzerland to commit suicide with the aid of a Swiss charity called Dignitas. The House of Lords is due to debate a bill on Friday 12 May which will attempt to change the law on assisted suicide. Ahead of the bill, some of Britain's foremost lawyers in medical ethics have debated the issue which will be screened on Panorama when it returns to BBC One on Wednesday 10 May at 1930. The programme also contains interviews with people for whom this is a very personal issue. Gill Gerhardi has cerebral palsy and multiple sclerosis but is a firm opponent of assisted suicide and told Panorama she believes "it encourages people to give up". Panorama also interviewed Sophie Pandit, the daughter of Dr Anne Turner who was one of the 43 Britons who travelled to Switzerland to commit suicide. Sophie believes that the current law meant her mother had to choose to die before she was ready and denied her time at the end of her life. 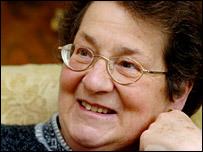 The programme features Baroness Ilora Finlay who is a pioneer of palliative care and opponent of the change in the law. In the film, Diane's husband Brian is equally forceful in his belief that assisted suicide for the terminally ill who are suffering unbearably should be legalised. What are your views on assisted suicide for terminally ill people? If Panorama's film does not answer your questions you can send them to BBC News 24 which will hold a debate at 2030bst on Wednesday 10 May. Your questions will be answered by John Wiles from Care Not Killing and Lesley Close, whose brother chose an assisted suicide following his struggle with Motor Neurone Disease. You will be able to watch the programme and debate again on demand on the website.